1. 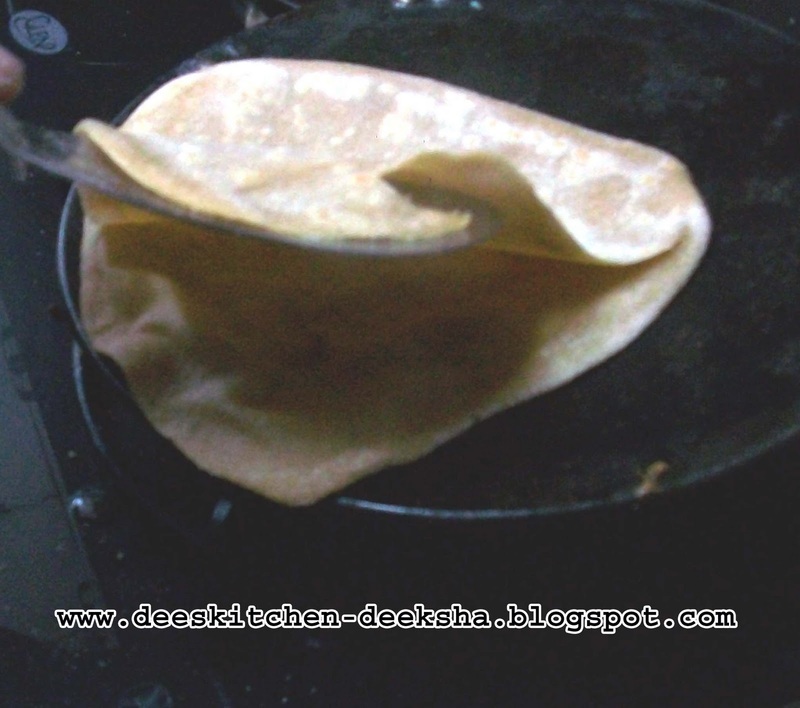 Take wholewheat flour in a bowl. 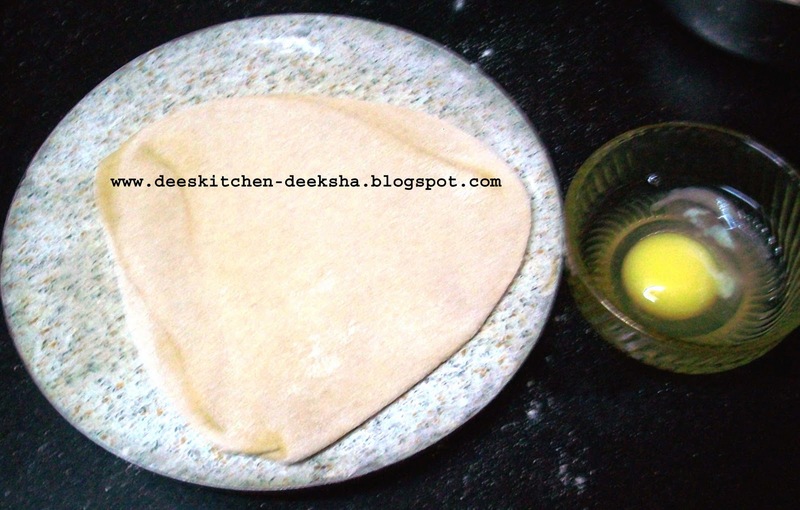 Add Sufficient water and knead into a soft dough. Set aside. 2. Break a egg in a small bowl. Add salt and beat well. 4. Roll out the dough into medium balls. Further roll balls into parantha(s). 5. 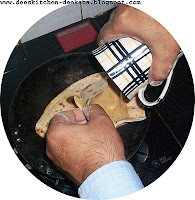 Heat a tawa, place the parantha on it, when slightly done turn it and cut it with a knife(to make a pocket) and pour in the beaten egg. 6. Apply a little oil and turn again. 7. 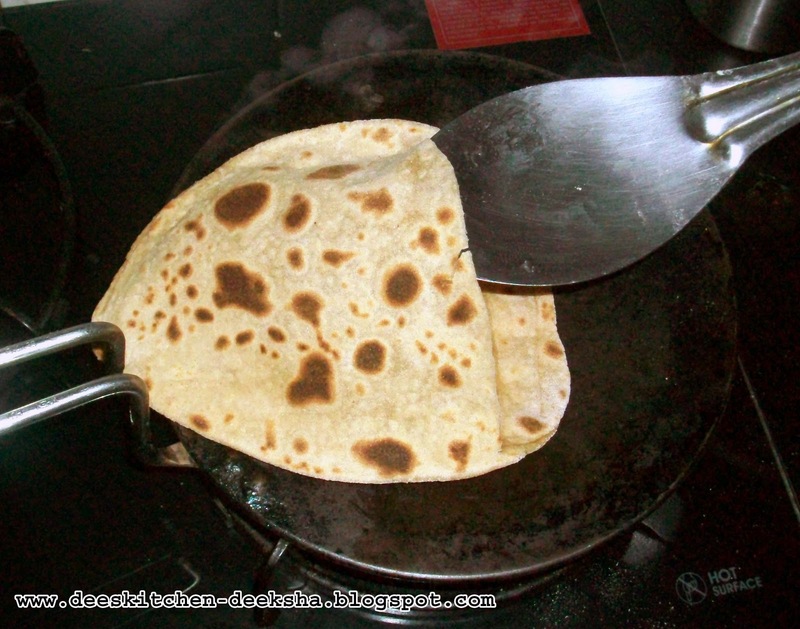 Apply oil on both sides of the parantha. Make crisp. 8. 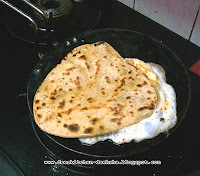 Fluffy, crispy EGG PARANTHA is ready. 9. 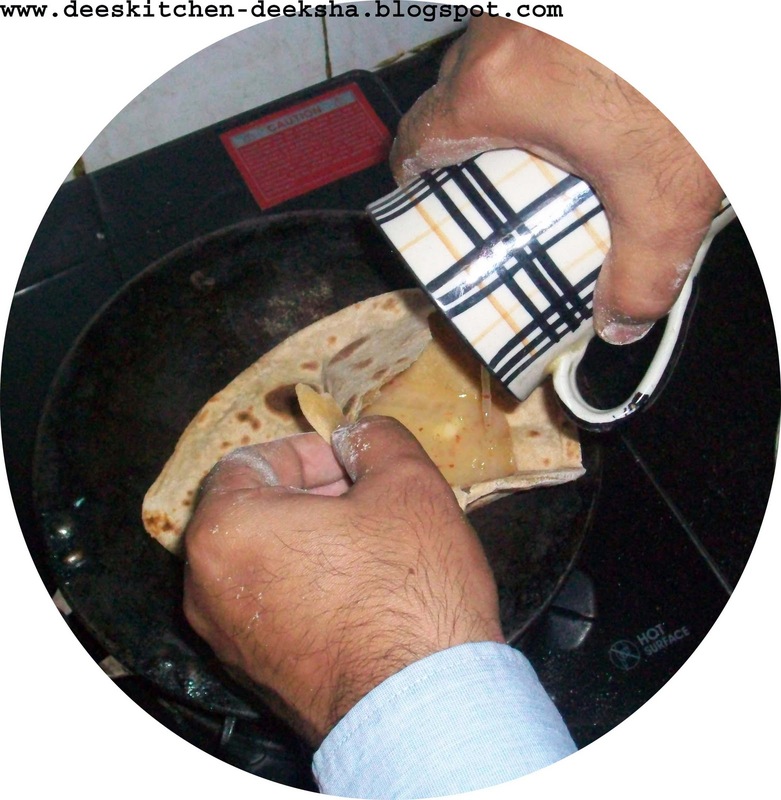 Make other paranthas in the same way. 10. 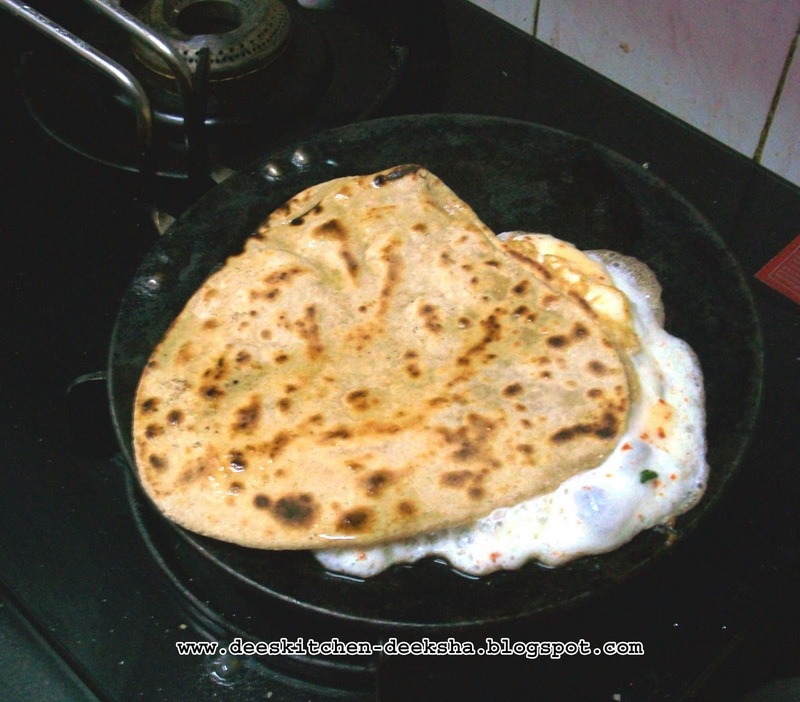 Serve with tomato ketchup and a cup of tea. Looks good, and thanks for the entry in WWC on Lite Bite.